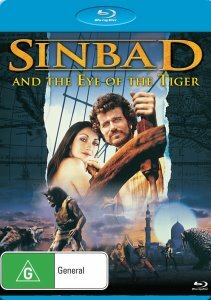 Description: Sinbad (Patrick Wayne), daring sailor and Prince of Baghdad, sets sail towards Charnak, seeking permission from Prince Kassim to wed his sister, Farah (Jane Seymour). 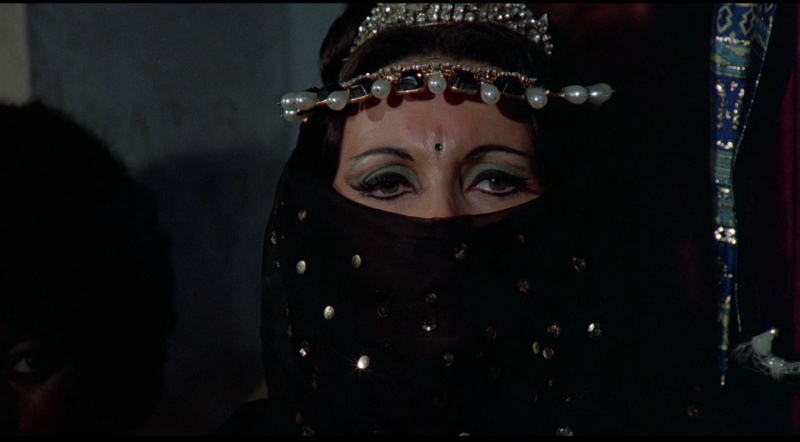 But Sinbad discovers that Kassim has been placed under a spell by their fiendish stepmother, Zenobia (Margaret Whiting). To break the wicked spell, Sinbad must set forth on a journey unlike any ever travelled. Awaiting him on this perilous voyage is an assortment of beasts beyond one's wildest imagination. Among the creatures encountered are the Minotaur, a bronze colossus, a giant troglodyte, a sabre-toothed tiger, and an "almost human" baboon. 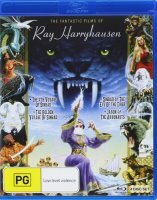 The incredible, animated special effects by Ray Harryhausen will keep you spellbound as you sail with this Sinbad classic. 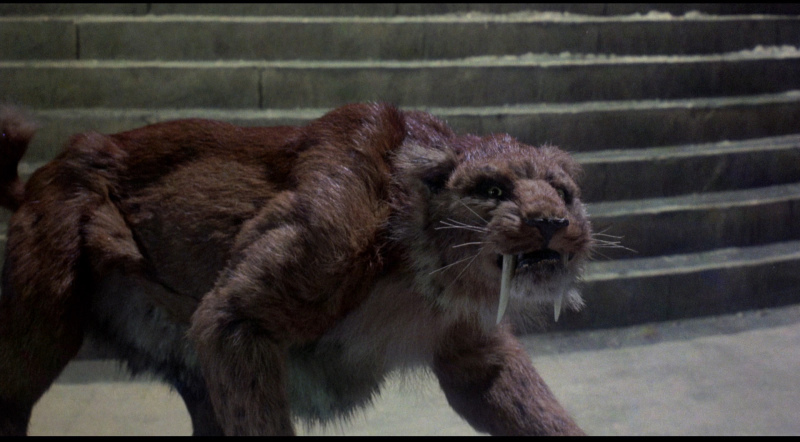 Famed stop-motion animator Ray Harryhausen concocts a collection of fantastic creatures -- including a saber-tooth tiger, a chess-playing baboon, a giant walrus and three banshees -- for this follow-up to The Golden Voyage of Sinbad. 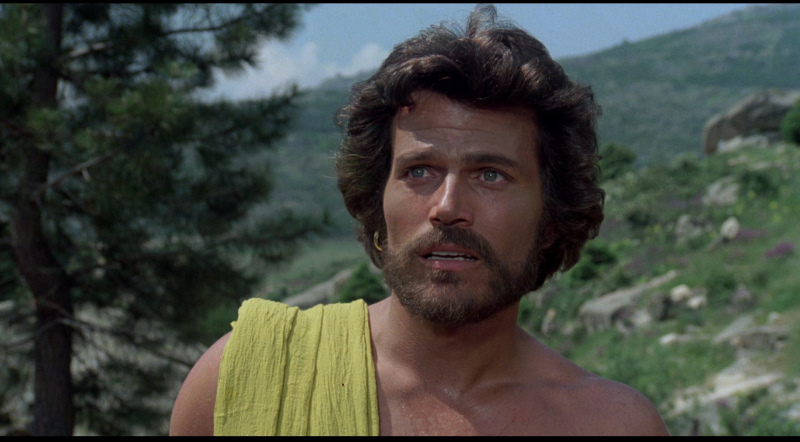 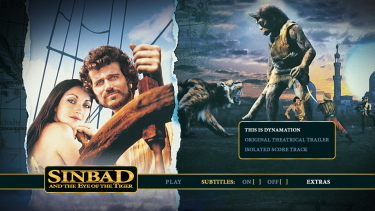 Patrick Wayne stars as Sinbad, who seeks the hand of Princess Farah (Jane Seymour) in marriage but cannot get her brother, Prince Kassim (Damian Thomas), to agree to the match because he has been turned into a baboon by his evil stepmother. In order to receive the blessing of Farah's brother, Sinbad must travel to a far away realm and find a wizard named Melanthius (Patrick Troughton), the only one who can break the evil spell placed upon Kassim. In an interview with Dan Scapperotti for Cinefantastique magazine, Harryhausen admitted that the main challenge of Sinbad and the Eye of the Tiger was creating a fantasy world far removed from previous Sinbad outings, one which includes a snow-covered environment. 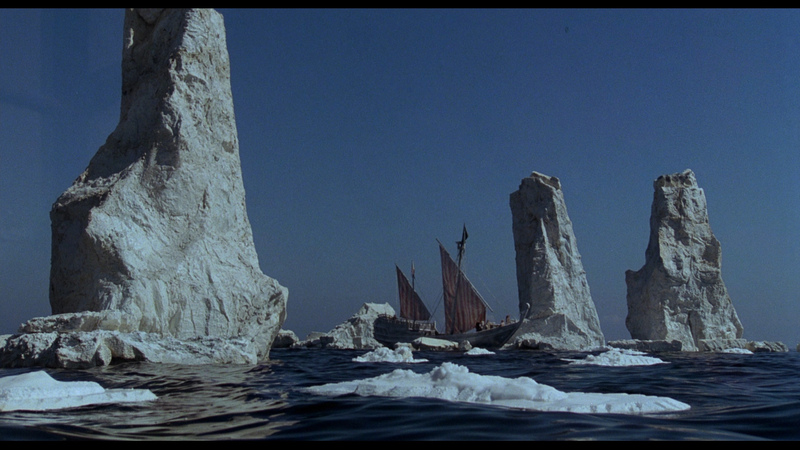 "Ice always presents a problem," Harryhausen stated. 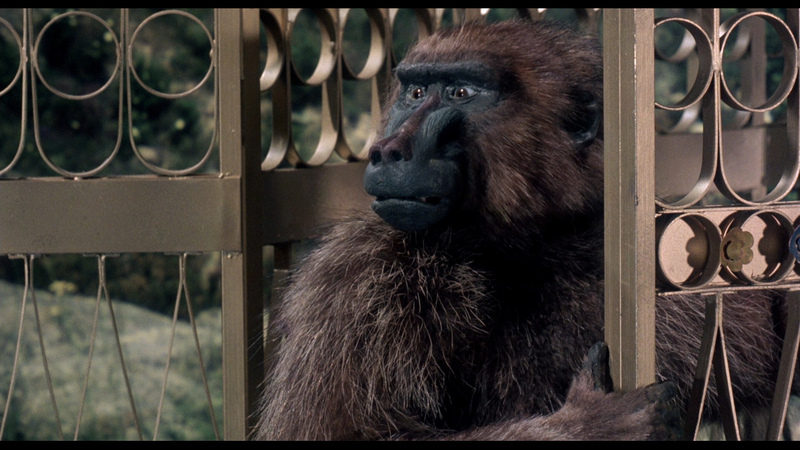 "We photographed some of it in Northern Spain. We didn't have the cast at the time so we had to supplement it by photographing some of the ice shots in Malta, where it gets to be 110 degrees. 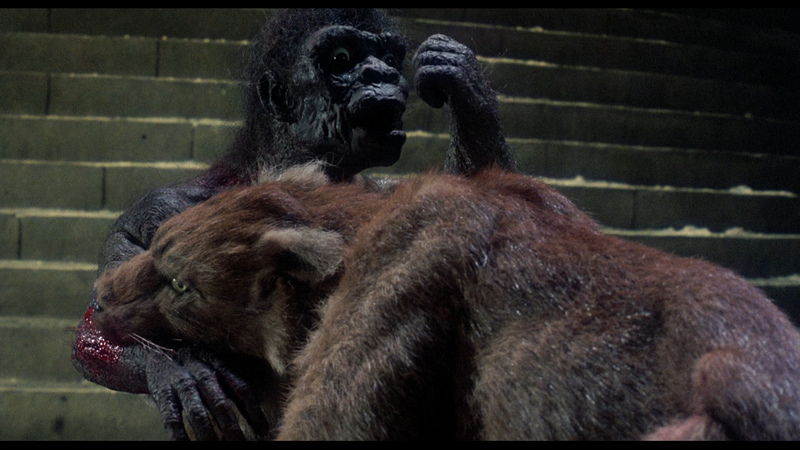 It became a problem for the actors to wear the heavy fur coats in the heat, but regardless, we got the effect that it was cold. 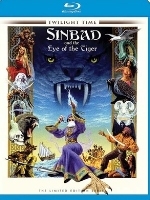 We wanted to get Sinbad involved in an adventure that didn't occur in the Arabian Nights - going to the North Pole." As for the stop-motion effects and animated creatures on display in Sinbad and the Eye of the Tiger, Harryhausen clearly had a favorite: "I suppose I had the most fun with the baboon because he was the most humanoid. 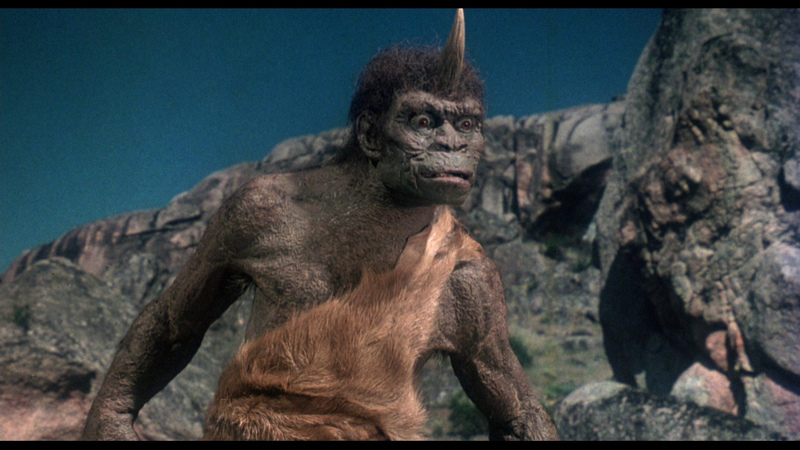 Trog had a lot of interesting qualities because as some people might comment he could have been a man in a suit. But I feel he would have lost something if we used a Greek wrestler with hair glued on and a mask. 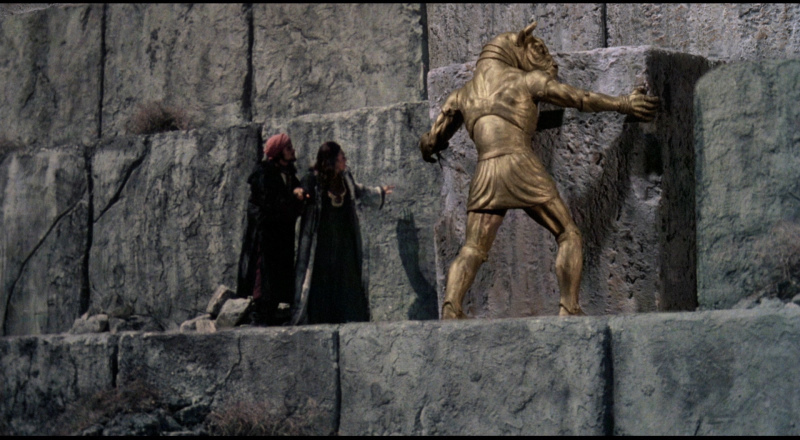 I don't think we would have gotten the effect and I would have been wide open to criticism as I was on One Million Years B.C. 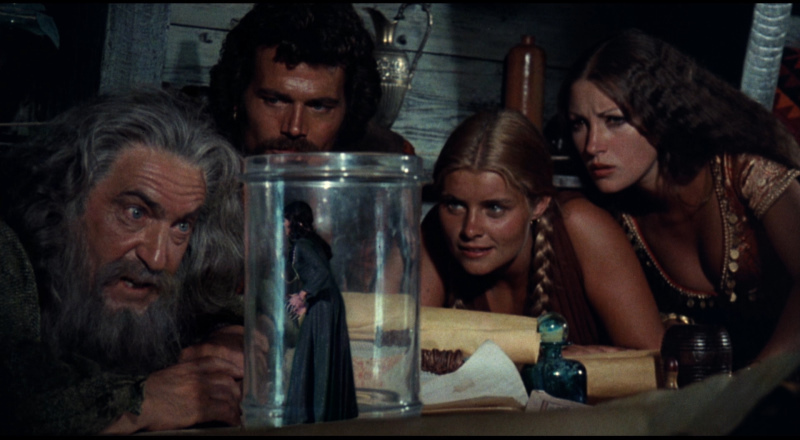 with our little talented lizard." 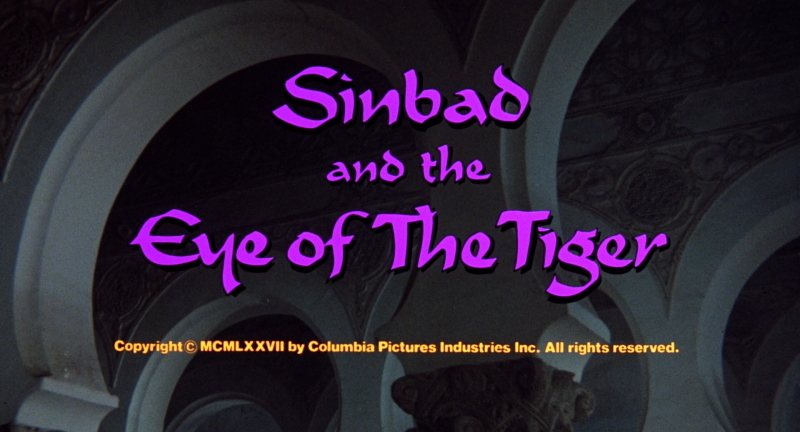 Sinbad and the Eye of the Tiger comes to Via Vision Entertainment (Australia) Blu-ray in a dual-layered, 1080P transfer with a max'ed bitrate. The visuals are solid and the image in-motion looks impressive. Colors are bright and there is depth - effects don't become overly transparent in the high resolution. This Blu-ray gives a good presentation in the original 1.85:1 aspect ratio - thumbs up! 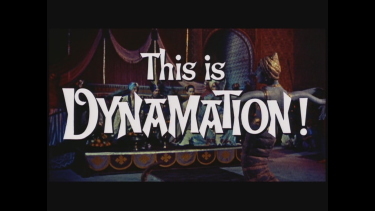 Dynamic 5.1 boost in floor-rattling DTS-HD Master 5.1 surround at 3773 kbps (24-bit!). 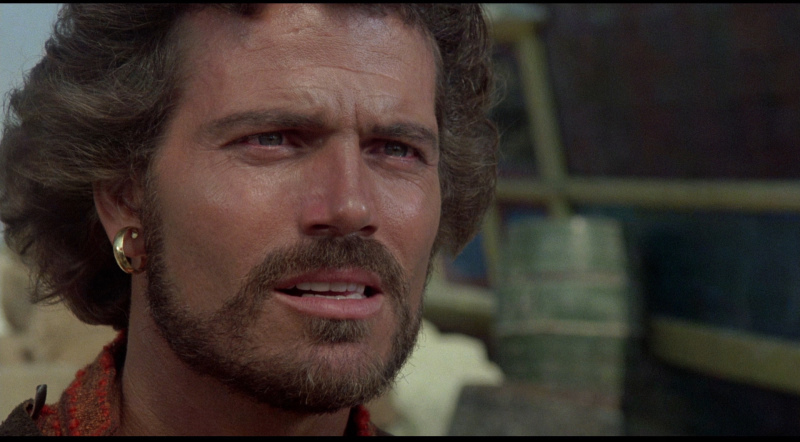 Plenty of the effects go along with audio intensity. 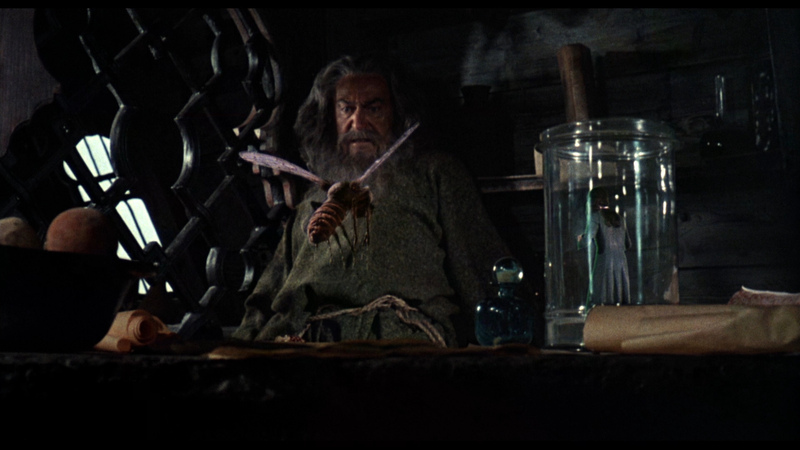 There is some strength in Roy Budd's (Get Carter, The Carey Treatment, The Wild Geese) score that pulsates at every creature-turn. 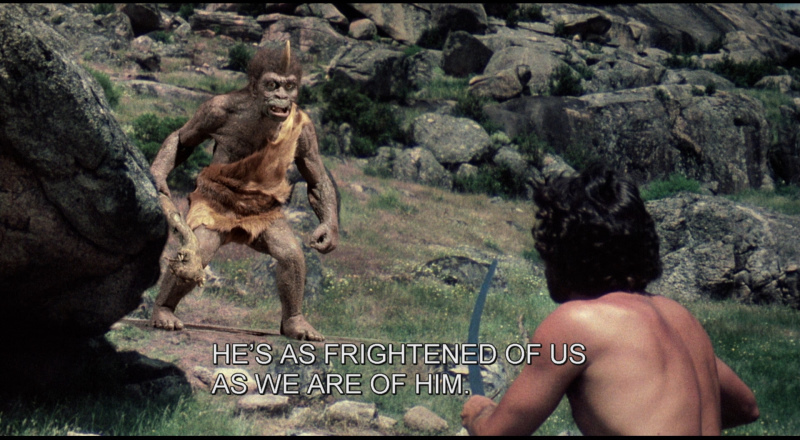 There are optional English (SDH) subtitles - in CAPITALS ONLY - and my Oppo has identified it as being a region FREE disc playable on Blu-ray machines worldwide. 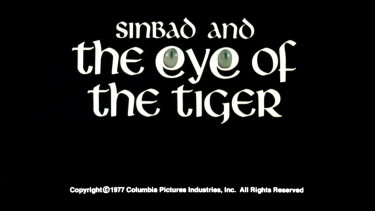 Sinbad and the Eye of the Tiger is a more Sinbad fodder for the adults who still shrink back to youth under the spell of Harryhausen's iconic effects. 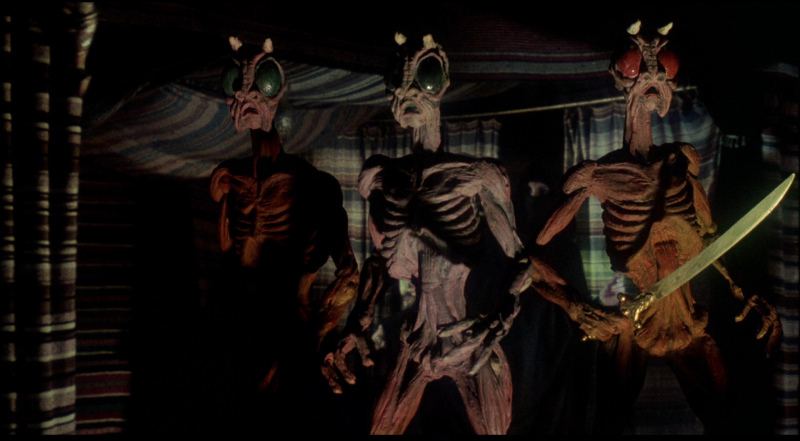 It might be the weakest film of this sub-genre but the effects are the best. 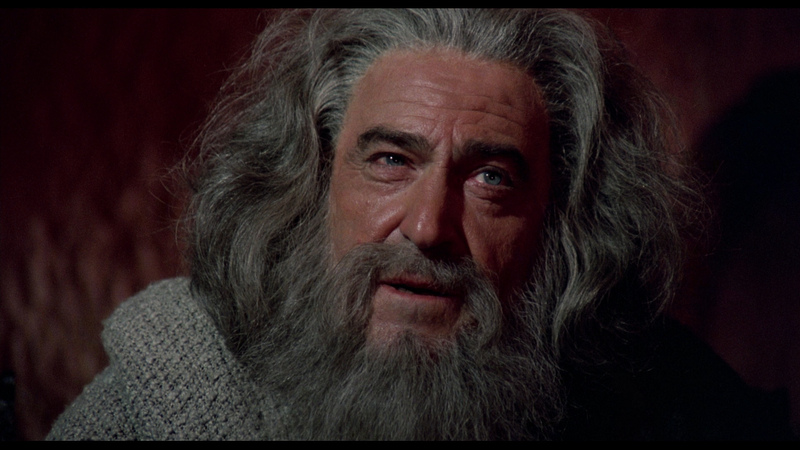 The Via Vision Blu-ray provides a desirable - REGION FREE - release with great a/v for those who missed the Twilight Time. We give it a hearty thumbs up!